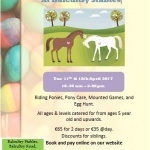 Riding Ponies, Pony Care, Mounted Games, and Egg Hunt. 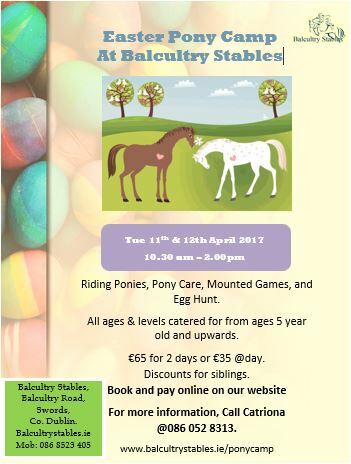 All ages & levels catered for from ages 5 year old and upwards. €65 for 2 days or €35 @day. For more information, Call Catriona @086 052 8313.